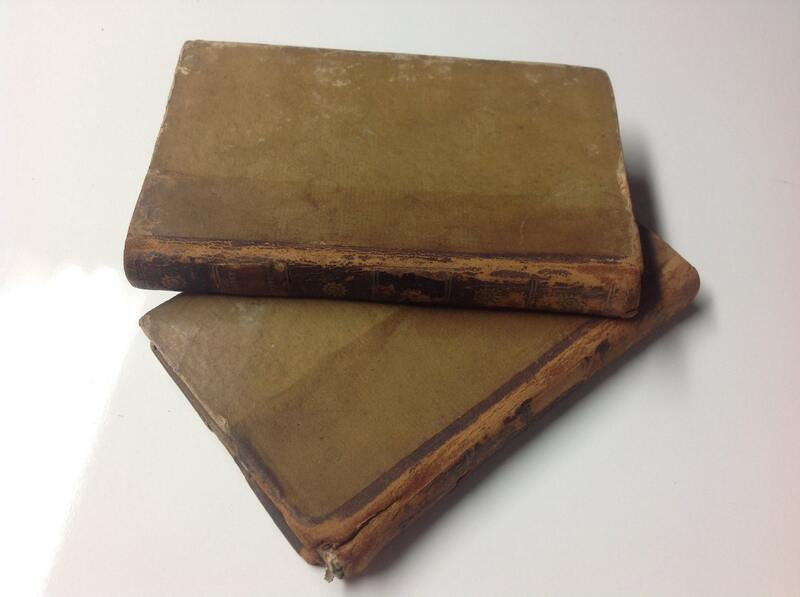 Offered here are two very rare, scarce, and desirable volumes for a francophile, book lover, French teacher, or historian. By far and away, the most notable aspects of this pair of books is the delightful print quality. 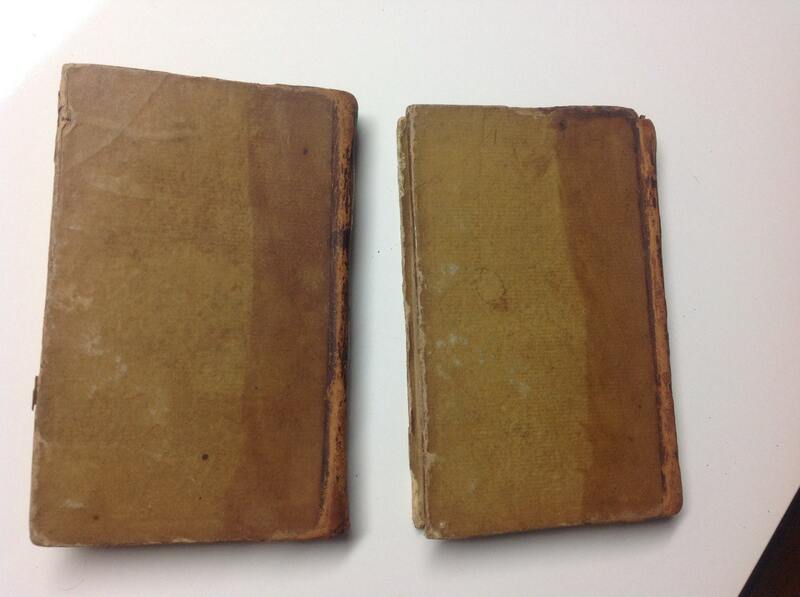 Condition is overall good with moderate rubs all over as is typical of bindings of this era. However, the overall binding of the book is tighter than average. 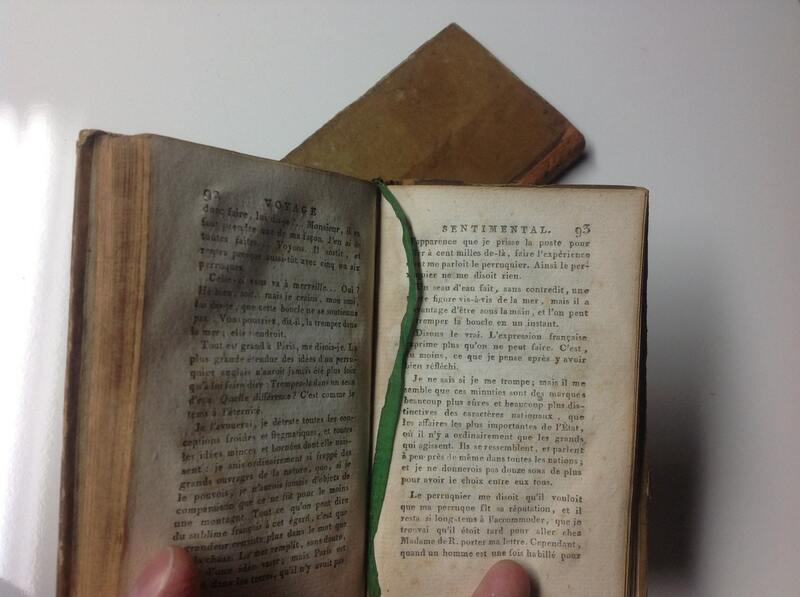 Volume II has the start of a crack at the binding and a very small loss at the extreme upper edge of the spine. Pages have exceedingly light tanning. This book is a wonderful volume that someone in the era of our nation's founding fathers used. 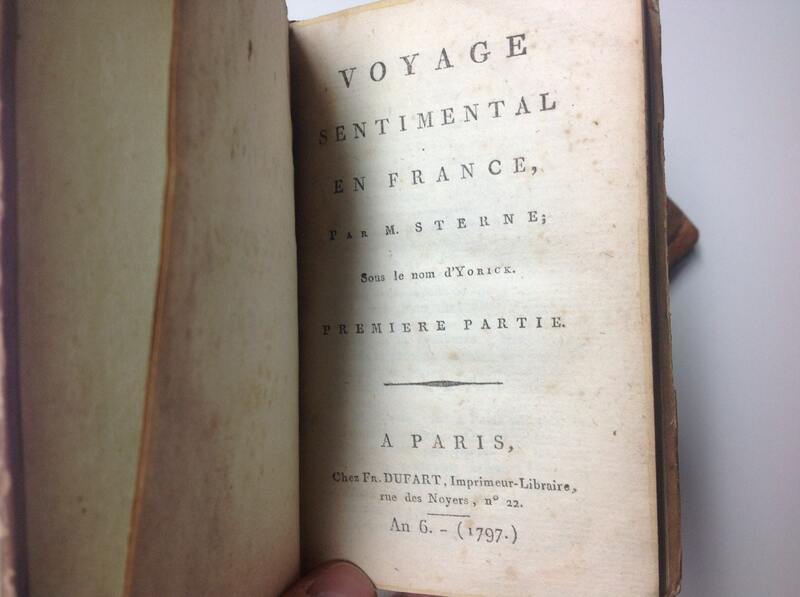 The full title of the book is: "Voyage Sentimentale en France, Par M. Sterne; Sous le Nom d'Yorick Premiere Partie" (and the other is "Seconde Partie"). Published in Paris, Chez Fr. Dufart, Imprimeur-Libraire, rue des Noyers, no. 22. 1797. This particular edition has words, phrases by subject, idioms and more. Condition is outstanding. 407 pages. 11th edition. 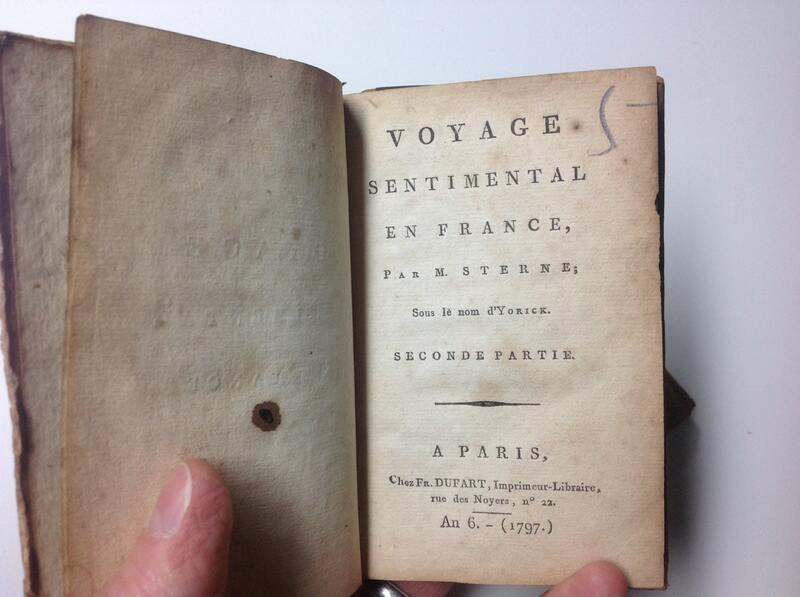 Printed in Pars, 1788: Printed for M Chompre.